Congratulations Mayans MC! We are only one month and four episodes into the first season of Mayans MC and today it was renewed for a season two. The second season will premiere on FX in 2019, it is still unsure how many episodes it will be. Said Nick Grad a President of Original Programming for FX Networks and FX Productions. The series stars JD Pardo, Clayton Cardenas, Edward James Olmos, Sarah Bolger, Michael Irby, Carla Baratta, Antonio Jaramillo, Raoul Max Trujillo, Richard Cabral, and Danny Pino. With recurring stars Emilio Rivera, Frankie Loyal, Joseph Lucero, Vincent Rocco Vargas, Maurice Compte, Gino Vento, Tony Plana, Michael Ornstein and Ada Maris. 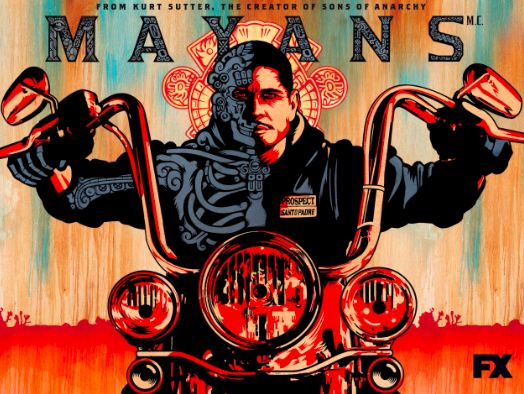 Mayans MC airs on FX Tuesday nights. Watch the Season 1: First Look below! “League of Legends” Funko Pop! Characters Coming Soon! Next story Happy Anniversary to Magic Kingdom and Epcot!